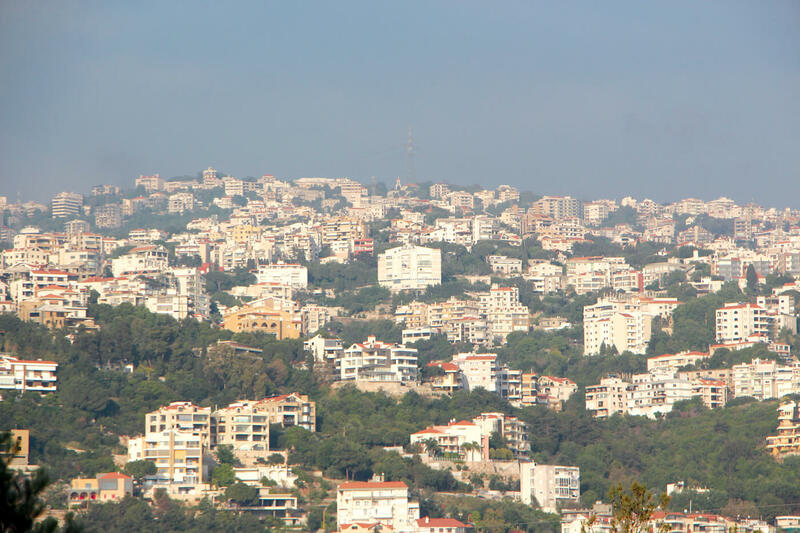 Qatar Airways launched a four times weekly flight service to Thessaloniki, the second largest city in Greece. 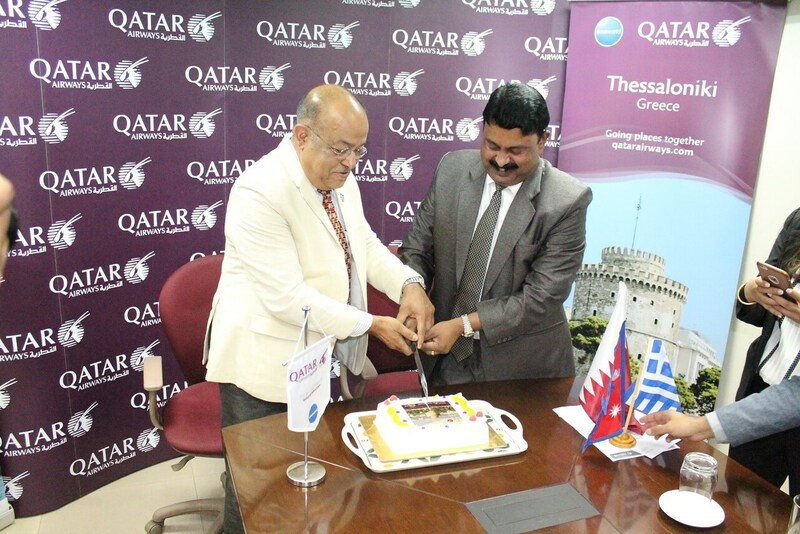 Committing to connect travelers from Nepal and Greece, the airlines has scheduled four weekly-flights to Thessaloniki via Doha with Airbus 320 aircraft. 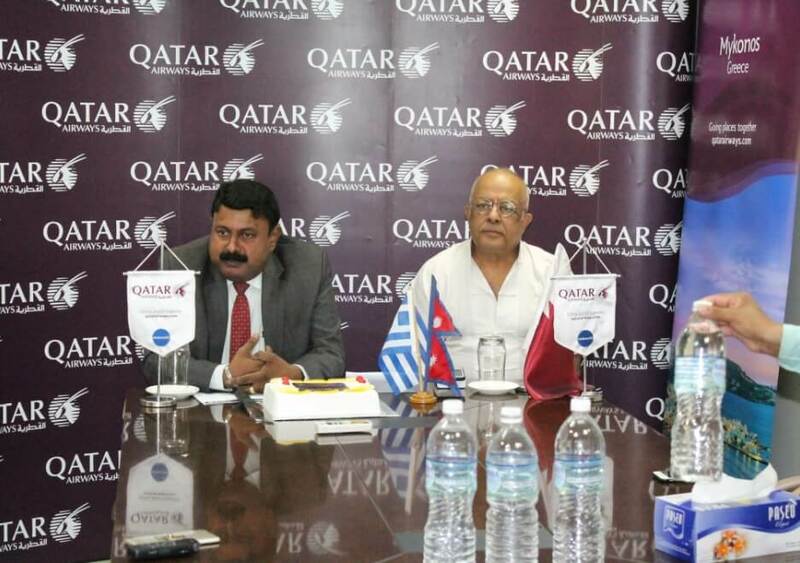 To celebrate the launch of the flight, Qatar Airways Nepal hosted a media interaction session with the Honorary Consul of Greece Bikram Pandey and Country Manager Jayaprakash Nair. 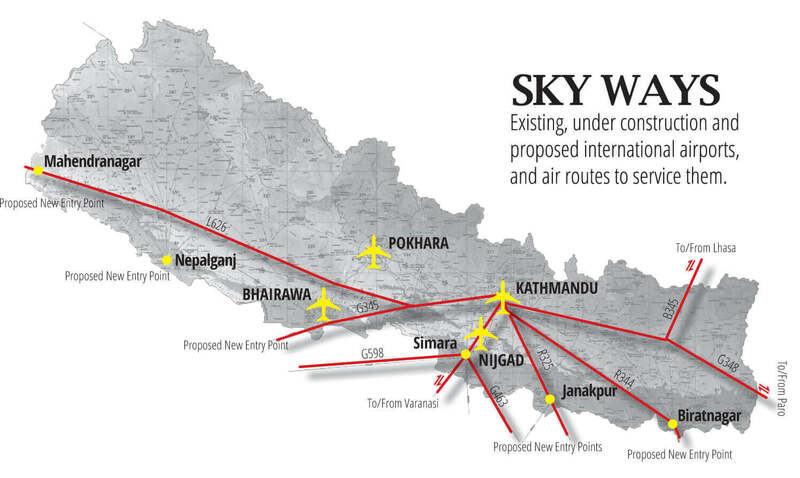 At the briefing, Nair highlighted the award-winning airline’s robust expansion plans, as well as its commitment to bringing more travelers to Nepal to Greece, and to connect Thessaloniki to its extensive global network via the award-winning Hamad International Airport in Doha. “We are tremendously excited to launch our 4 weekly flight service to Thessaloniki, our second destination in Greece. Having 3 daily flights to Athens, we realized the growing demand in Greece, and what better place than the Thessaloniki?” said Nair. Qatar Airways already operates 3 daily service to Athens .